Stunning Cabin Room in the Western Town - sleeps 4. 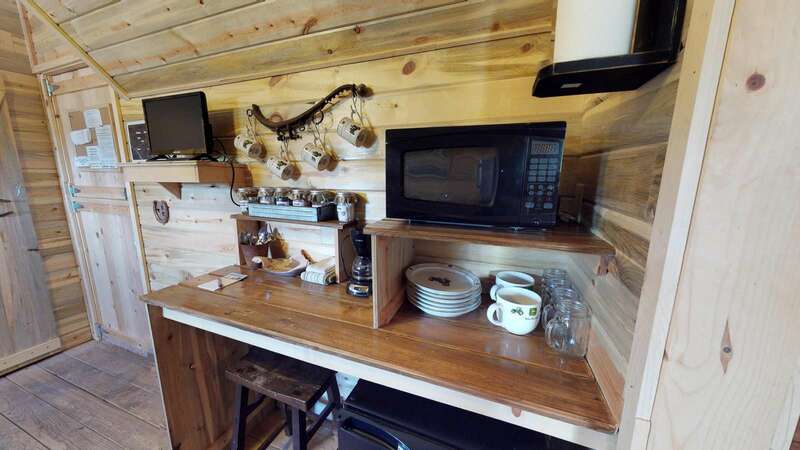 Includes Kitchenette, BBQ Grill, Campfire Bowl, TV. Free WIFI, Picnic Table, and Covered Lounge Area. No waiting in lines to check into a hotel here! 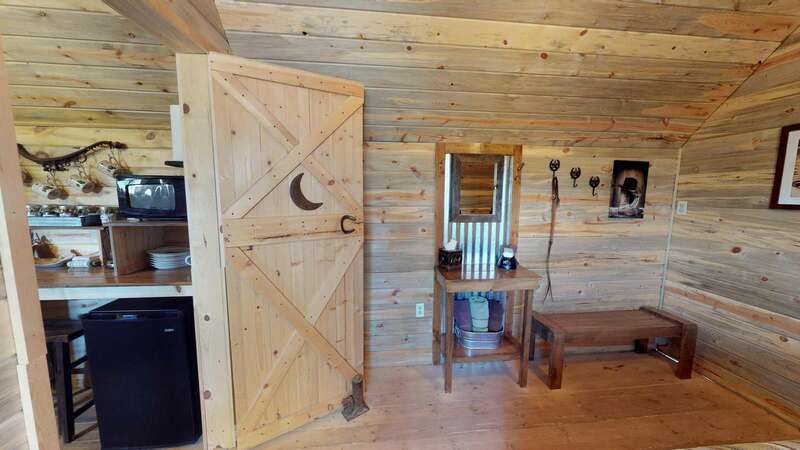 Just drive up, walk in and make yourself at home in this stunning western Cabin with a full private bathroom. It is a guest favorite! 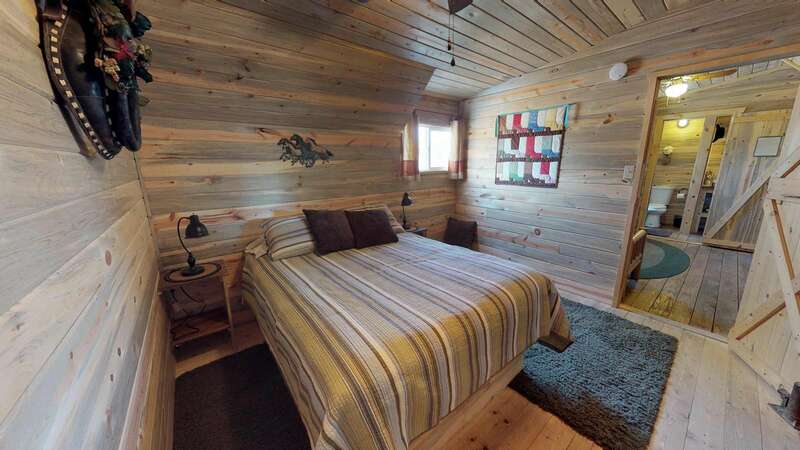 Sleeps 4 people including the Queen bed and the Queen Futon. 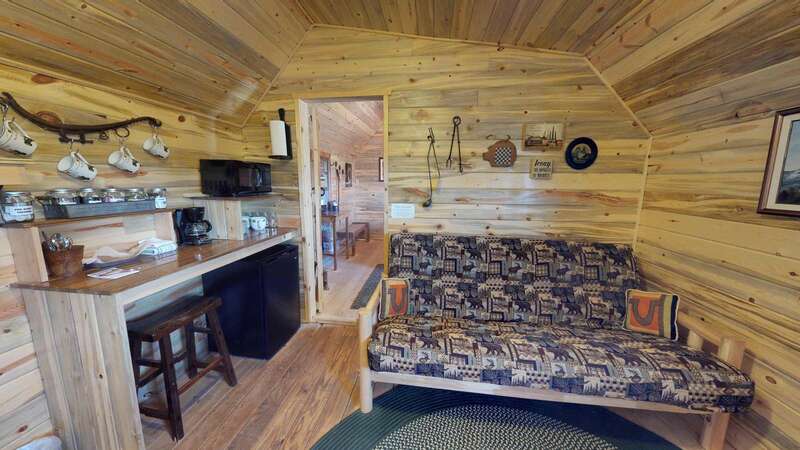 In addition to your room you will find amenities of a kitchenette, coffee pot, microwave, TV and Free WIFI in your Cabin, and access to a Full Kitchen in the common area, BBQ Grills, campfire area and picnic tables. 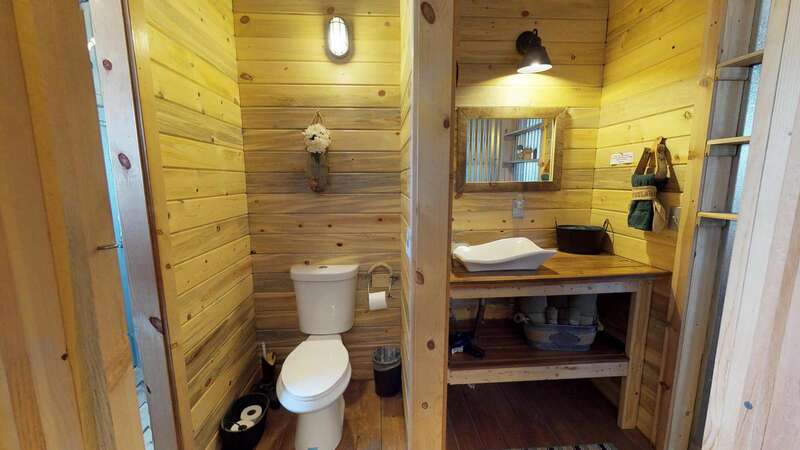 If you would prefer a genuine old west experience, you are welcome to use the outhouse. 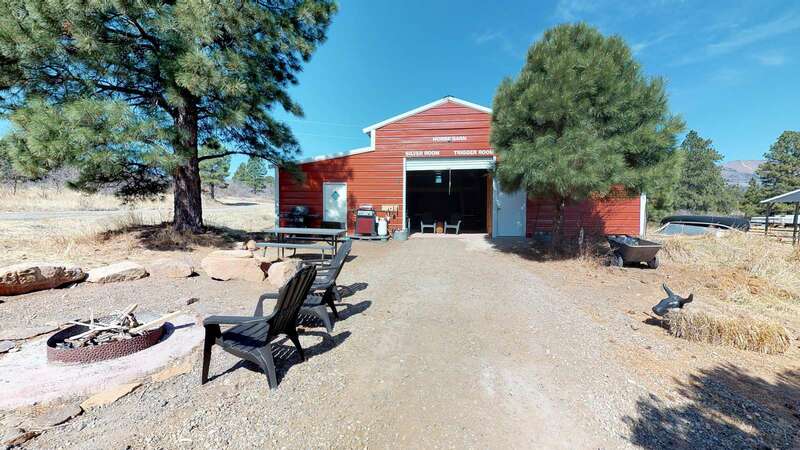 No need for Air Conditioning here, set in a beautiful location at 7,200' elevation - surrounded by trees with a fantastic view of the Abajo mountains, this Barn Room is the ideal spot to escape to - while remaining central among more than a dozen state and national parks and monuments! If you are traveling with a horse, it is a great place to stay and board horses overnight. 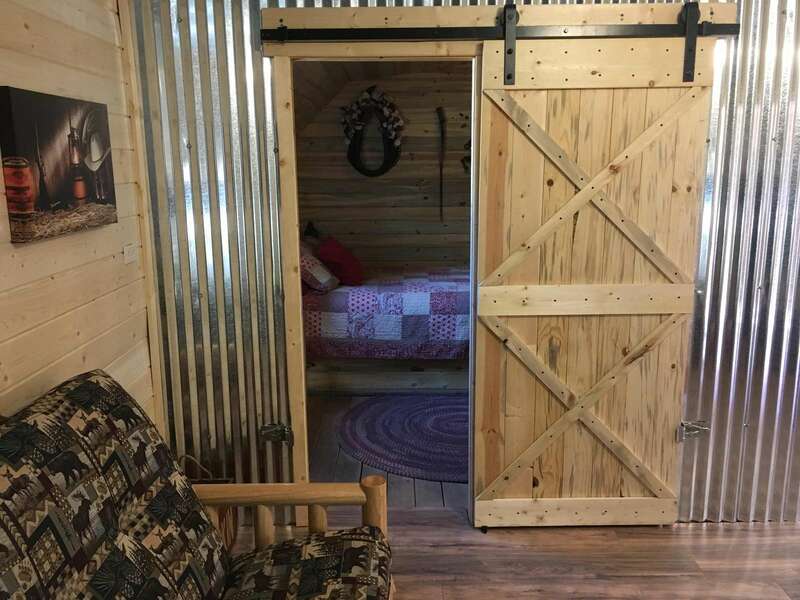 Featuring a main level bedroom with a queen bed, Full bathroom, Free WIFI, Flat screen TV, relaxing area, dining table, a BBQ Grill and campfire area. All linens are provided. This place is lovely! We enjoyed our stay! A great cabin in a beautiful location! This would be a great place to hold a gathering! Nice and clean. Conveniently located. So the floor was a little noisy and we lost Wifi and hot water for some of the nights but the place was great!!! We enjoyed the barn, met interesting visitors, had a very comfortable and unique place to stay and enjoyed a simply well organized and well equip place. Bottom line- we had fun!!! We stayed in the Silver Room in the Horse Barn. It was a super cute place. Very clean and comfortable. The free wi-fi was awesome as we didn't have cell service it was so secluded. It was nice that the Murdock's had so much information of the areas, parks, etc. I would recommend this room to anyone. It would be fun to come back and stay at one of the other many cabins/rooms that they have on the property! Cabin was well stocked and comfortable. The welcome treats were great! Notebook of sites to see was very informative. Wish it was a bit closer to The Arches and Canyonlands. We stayed in the Silver Room in the Horse Barn. Very clean and super cute! Comfortable bed and the futon was also comfortable. We didn't get to stay too long, but would definitely stay again! I only can say that was all perfect! Diese Unterkunft ist definitiv ein super Geheimtipp. Wir übernachteten im Pferdestall, der einzigartig umgebaut wurde in sehr gemütliche Zimmer. Die Unterkunft ist auch sehr empfehlenswert für Gruppen, da ein rießiger Gemeinschaftsbereich vorhanden ist und eine voll ausgestattete Outdoorküche. Wir wären gerne länger geblieben. What a cool place! A converted horse barn was such a great spot to stay after a few nights we spent camping-it was cozy and comfy. There’s a shared area with a full kitchen (if needed) besides the microwave and small fridge in our room. Outside the barn is a fire pit and small play area which kept our son happy! Can’t wait to return for a longer stay! 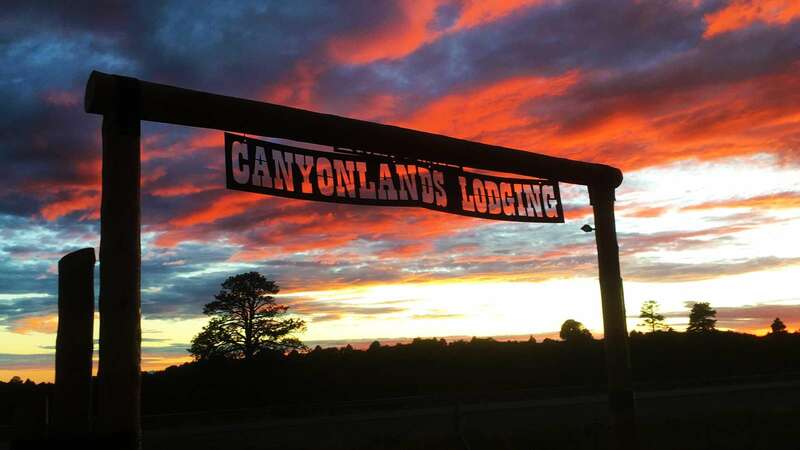 Canyonlands lodging is a great place to stay! It was very convenient for our road trip, and self check in was very helpful since we arrived late in the evening. The converted horse barn was such a cool place to stay, and everything is super nice! Beautiful rustic cabin. The area is gorgeous and full of outdoor activities. The directions were perfect for getting there. Very helpful!! Was a nice stop on our cross country move. There was a binder full of things to do around town. Highly recommend it. This is one of the most unique places we've ever stayed! So beautiful and easy access to so many sites. The barn has such a communal feel to it, we met so many interesting people. 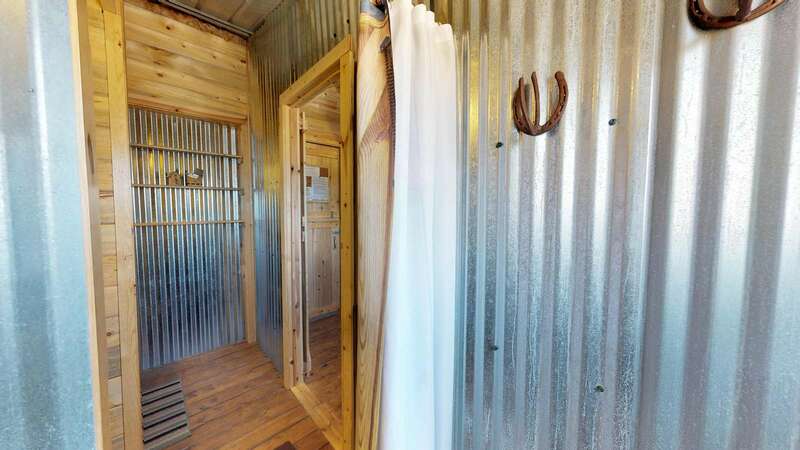 And I love how the apartments are designed to look like horse stalls, so cute! I loved the personal touches as well as the personal communication, Jerry was right there if we needed anything. Very comfortable beds, very efficient heater as the nights get a little chilly. 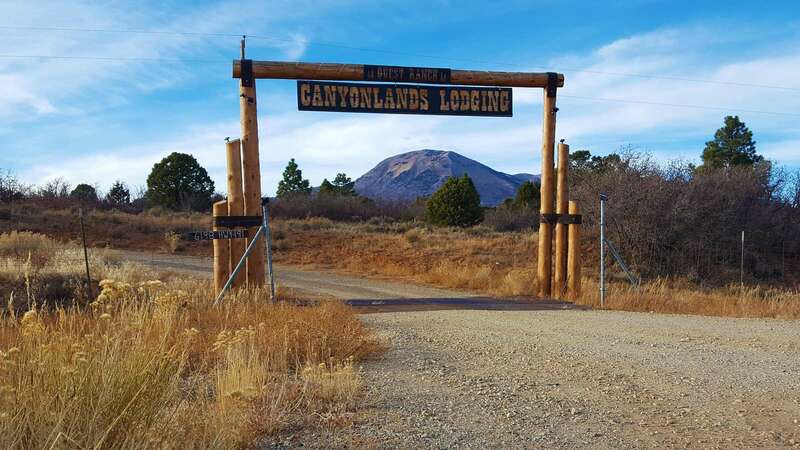 We were able to roam around the grounds and see all the beauty that Canyonlands Ranch has to offer. Will tell everybody about this place and would definitely stay here again! This silver barn place was amazing! Such a unique and comfortable Airbnb experience. 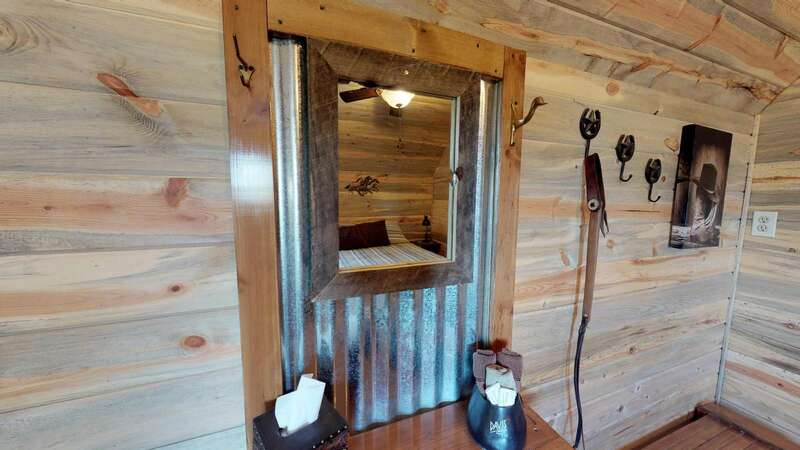 Hotel like amenities in a rustic, cozy, cabin-like room in the Barn. We stayed one night- cooked our dinner on the grill and sat by the fire pit just outside the Barn. Jerry was a fantastic host. 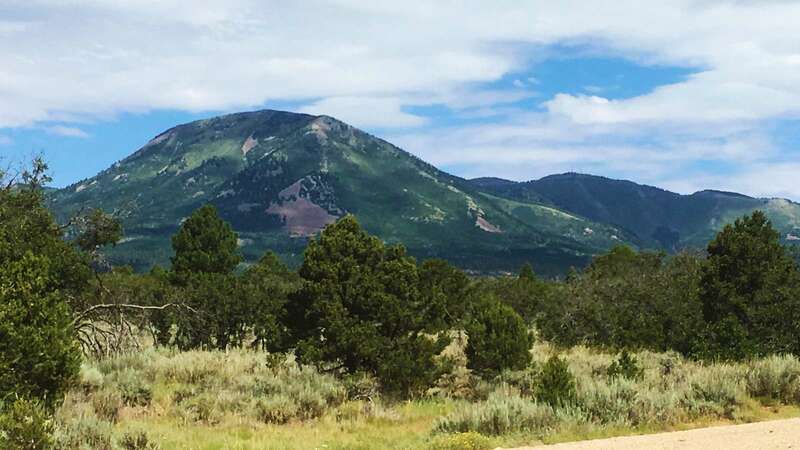 He responded immediately to any of our questions and gave us great recommendations for things to see along our drive to Moab the next day and places to eat and things to do in Moab. Highly recommend! I really enjoyed the stay at the silver room and couldn’t ask for a more comfortable or thoughtful experience with all the details covered. The room does get a bit chilly on a cold night. Loved the Silver barn! Not just a place to rest, but a memorable experience we will never forget! Clean, cozy and FUN! Thanks for sharing this beautiful place with us! Nicely appointed silver barn room. The bedroom and bathroom are not en suite. Pay attention to the directions because your cars navigation system will not be accurate. We will definitely be back for a longer stay. It was by far my favorite place to stay amongst a weeks worth of airbnbs and hotel rooms! 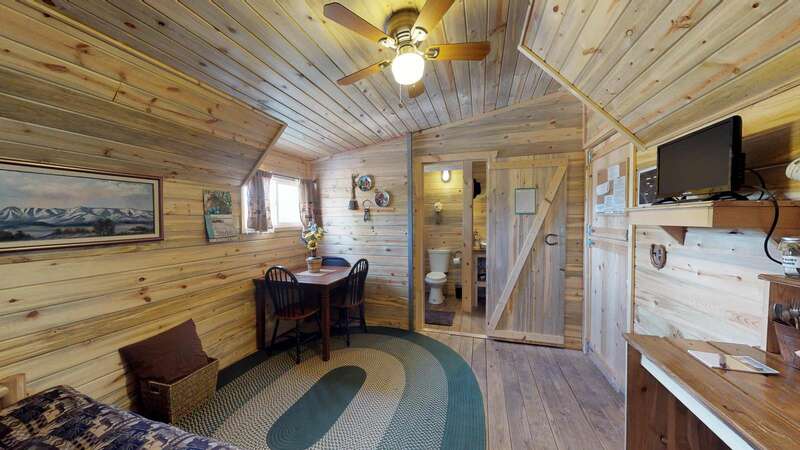 It was extremely secluded and quiet and entirely cute and practical. 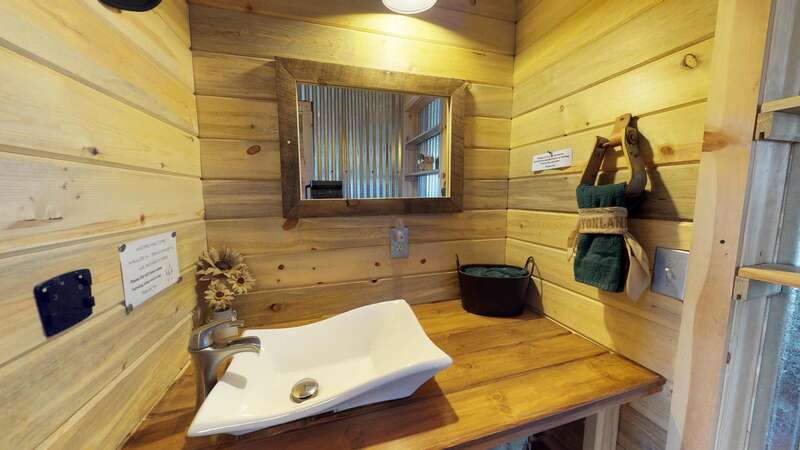 Love it and highly recommend the silver barn cabin! Very nice place. The facilities are outstanding. Great area for exploring and Canyonlands is right in the middle. Silver Room was comfortable and cozy. 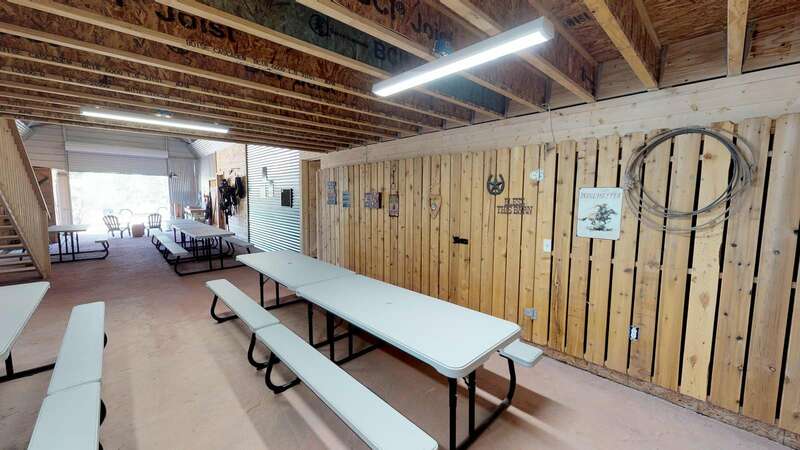 Our stay was very short at the Silver room in the horse barn, but it was pretty cool....place was clean, fun, host responded very quickly with any questions prior to our stay and the muffins were yummy. Such a unique place to stay! New to using Airbnb so wasn't sure what to expect. You could tell they really put a lot of thought into the decor and made for a cozy stay. The silver room does not have an attached bathroom but is a few feet across the barn but was fine by us and was SO neat! 100 percent would recommend and if we are ever back this way, will definitely try to stay again! Only wish we had gotten there earlier so we would have had time to use the fire pit. Thanks for the great experience/stay!! We loved our stay in the Silver Room in the horse barn. It is in a wonderful setting and the attention to detail in providing for comfort of guests is outstanding. Das Pferdestall-Thema wurde sowohl im Hauptzimmer als auch im Bad mit vielen kleinen Details umgesetzt. Ein später Checkin war ohne Probleme möglich. Leider funktionierte das WIFI bei unserer Ankunft nicht korrekt. Sonst hat uns die Unterkunft gut gefallen. 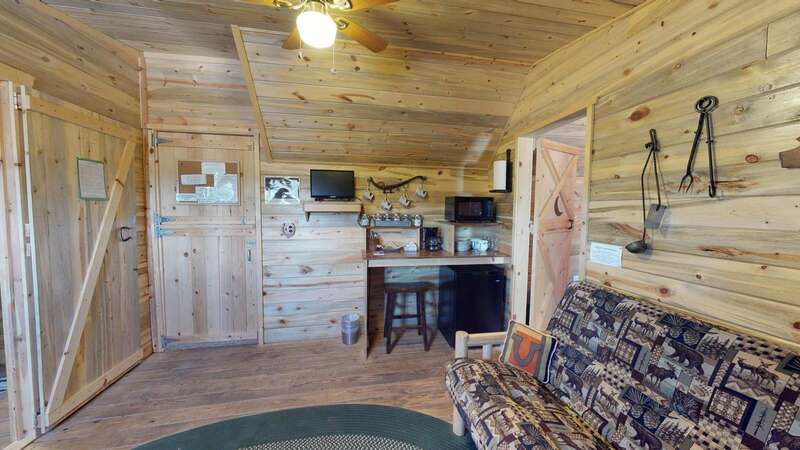 This is a great Silver barn cabin rental place close to Moab and the national parks! It's easy to find with the directions given. The place itself is very charming, better than the pics! 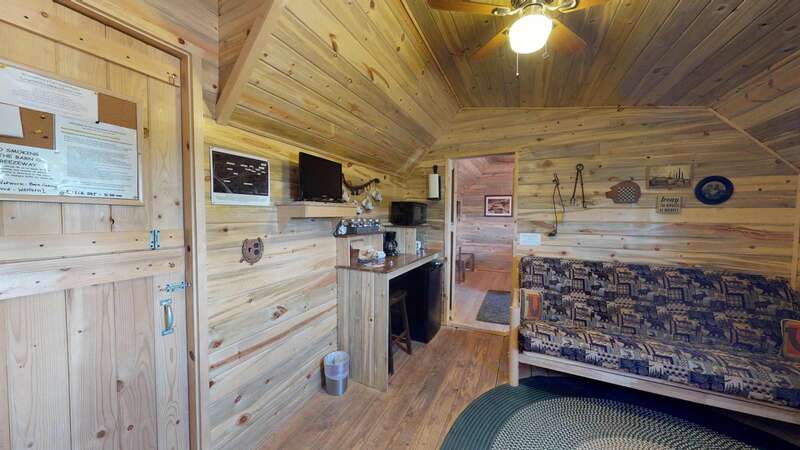 Very clean, and has a well stocked shelf with coffee, tea, creamer, and hot chocolate! The place is very peacefull and relaxing. What I would say is that you need to bring your food because restaurant are a little bit far away. 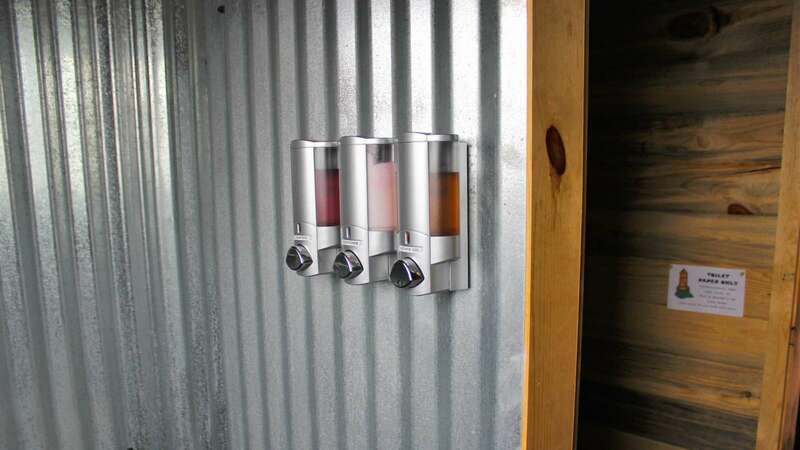 The facility is very accommodating as they have a BBQ plus dishes to use. 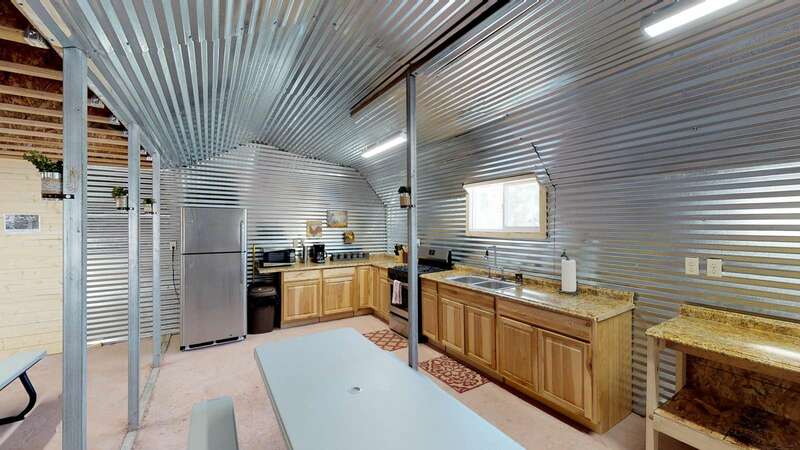 Plus you will need your gps to locate the Silver Barn Cabin . Not easy to find at first. But I will say that it is very clean, nice and you will have a nice sleep. Beautiful work turning the area into a quaint room and lovely bath. The cleanliness and details were appreciated! It was nice exploring a new environment, with room for a run and we'd do the hike if we're back in future now knowing rattlesnakes are unlikely! The temperatures were more moderate than Moab so worth the drive out of town and a fun climate/animal contrast to our own AirBnB in Fairbanks, Alaska (Hilltop Aurora, Private floor, Sled dogs). Thanks! It is a perfect place! This was a unique and very positive experience for me. 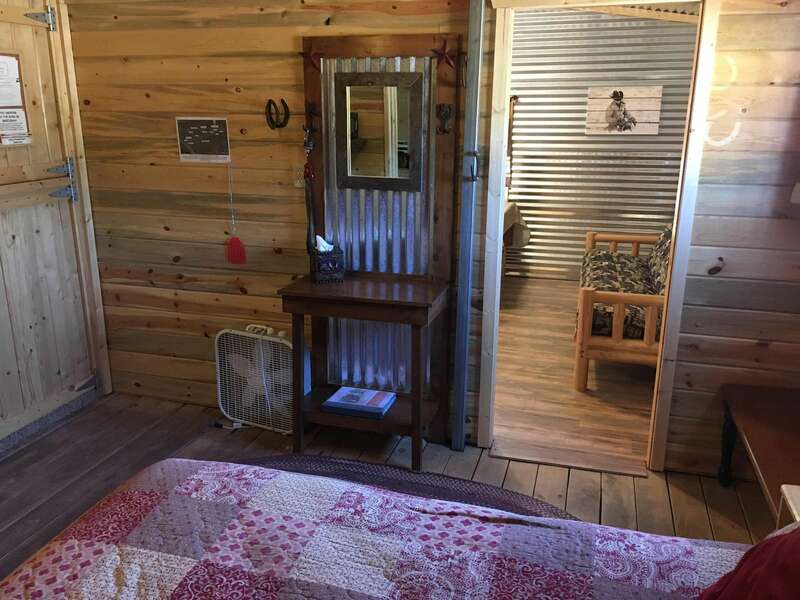 I felt I had the best of all worlds - living on a ranch, having clean, complete and well-appointed accommodations, privacy when I wanted it and social interaction when I wanted it. I was invited to the family cook-out on Thursday and enjoyed meeting the family. The bucolic setting was perfect for me. Thanks Jerry and family. 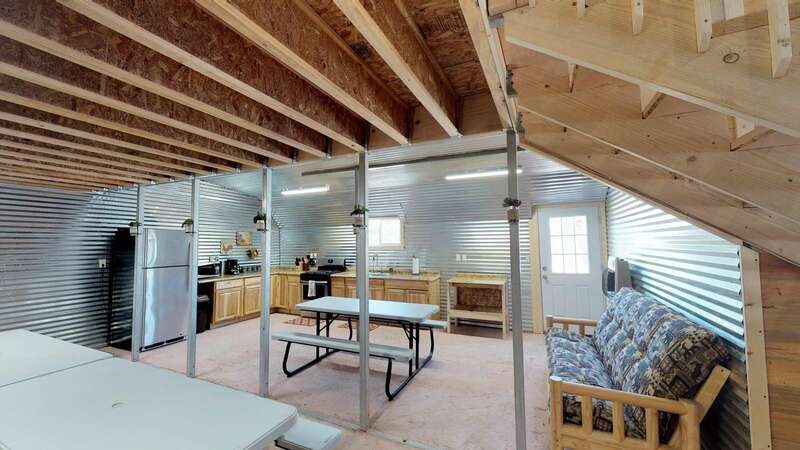 (Silver Room, Horse Barn). The Silver cabin room is just as advertised. Rural and quiet. Bedroom and bathroom were great, grill worked and there were clean towels and cookies waiting for us. Given the chance I'll come back again! This place was hands down AWESOME! 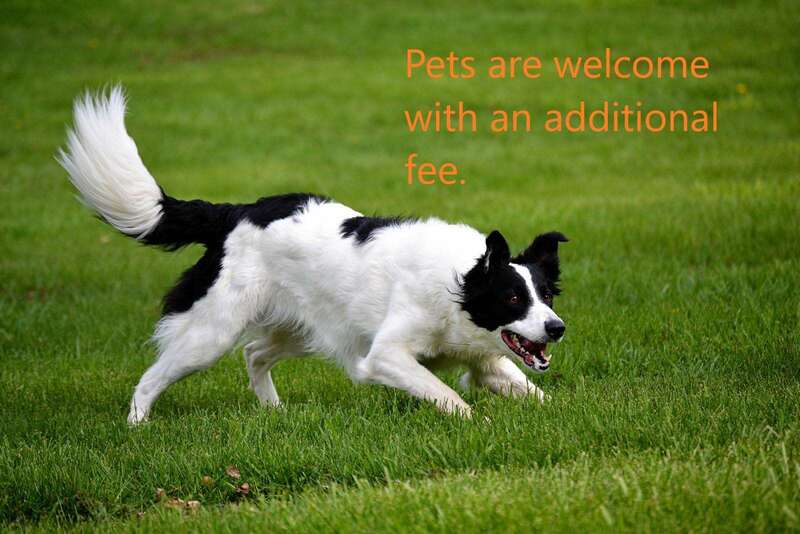 If you are looking for a place it is worth it! Everything was clean and Jerry even helped us find our way there when we got lost at 11pm at night. Very accommodating and helpful. It is a cute place and we really loved it! If this is a horse barn, horses live much better than I do. 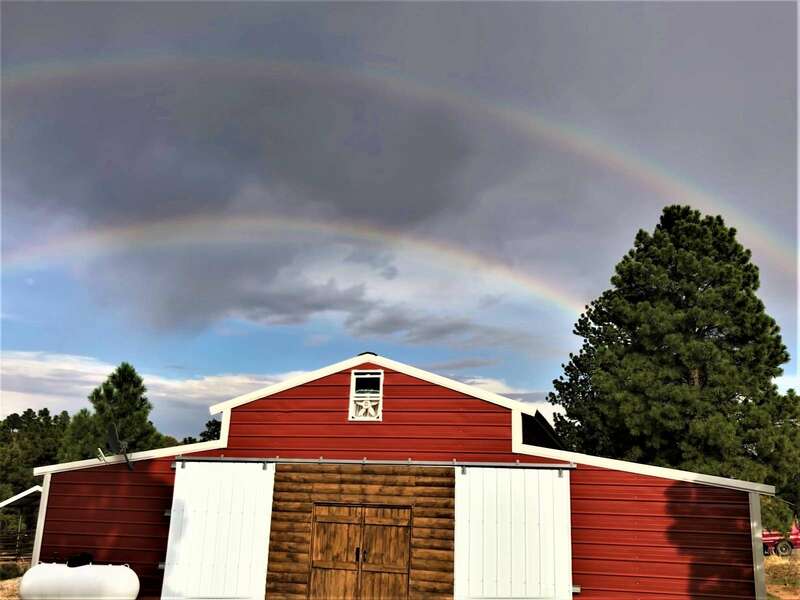 The barn is lovely and rustic-chic, with all the amenities, about an hour and a half from the Needles district of beautiful Canyonlands National Park. We had a great stay! Great communication with the owners to reserve the cabin. 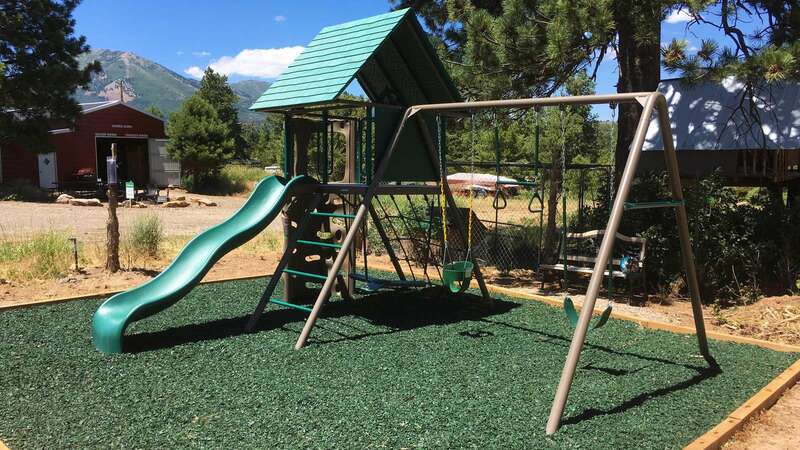 The location is perfect with many attractions near. Attention was given to every décor detail. We highly recommend this lodging and hope to take our family back for a reunion. We stayed in the "Silver room" although it had a detached bathroom it was still very nice. Jerry was awesome to work with. It was so peaceful and beautiful! Not noisy like places in town! Just sorry we weren't able stay longer! Stayed in the Barn Silver/Trigger rooms. Found it to be something out of the ordinary, cute and quaint. Loved that the dogs and grand kids could roam around and get their energy worked out. One issue we had was the fact that firewood wasn't provided. We are new at staying at a camping place, so maybe this is the norm, but I think it should be stated in the online site so people aren't surprised and/or disappointed when they're told to buy some firewood in town or drag your own in from the property. OWNER NOTE: There is firewood here and I showed you where it was, right next to the cabin area. Sorry you missed that communique. Loved staying in the horse barn! It couldn't have been more perfect. It was a hard place to leave. Thank you! We have enjoyed it so much! It was like a home away from home. We wish we had more time to do all the other trips that are mentioned in your journal. We did stop at the town of Bluff and also went to the Butler Wash trail to see the ruins after visiting Hovenweep and Four Corners today! If you are coming to the area to get away and enjoy the beauty of the land this is the place. We enjoyed the scenery and the unique to sleep. When we come back this is the location we will choose again. 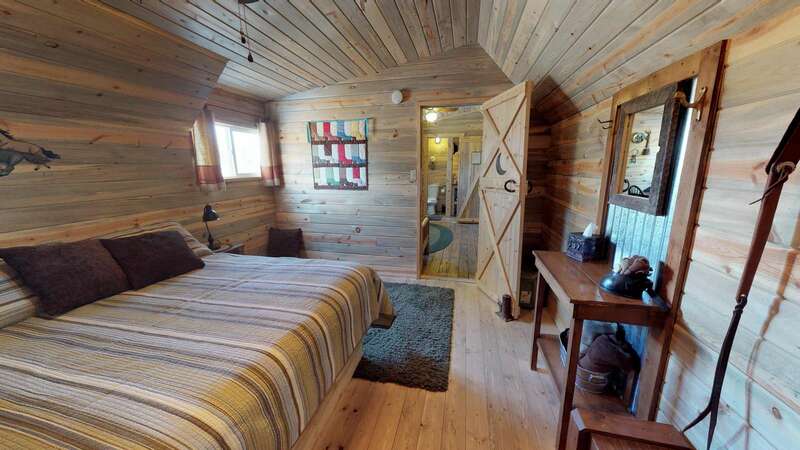 Our Bunkhouse Barn Cabin rooms are the most unique of all our lodging. 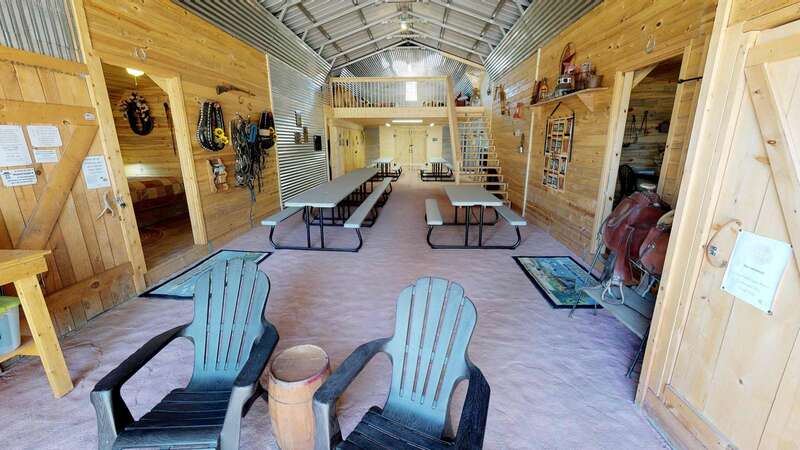 Plush western rooms in half of a Horse Barn Setting, nice bathrooms, hot showers, with a large covered lounge area, picnic tables, BBQ Grill, and a campfire bowl. 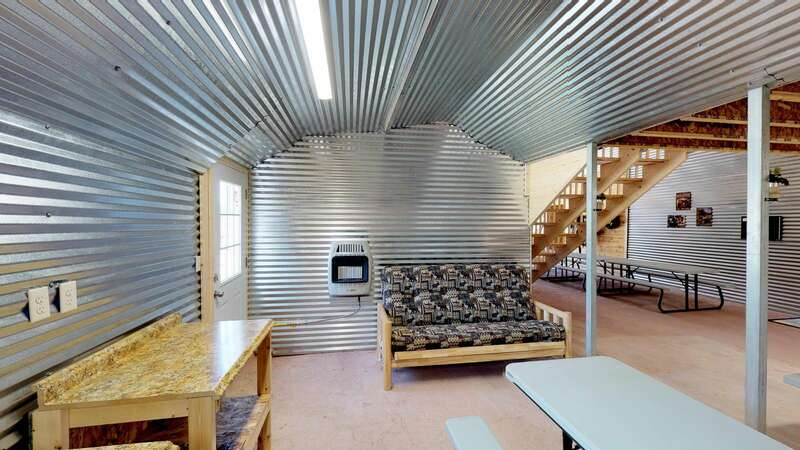 Some call it Glamping, which is luxury glamour camping. 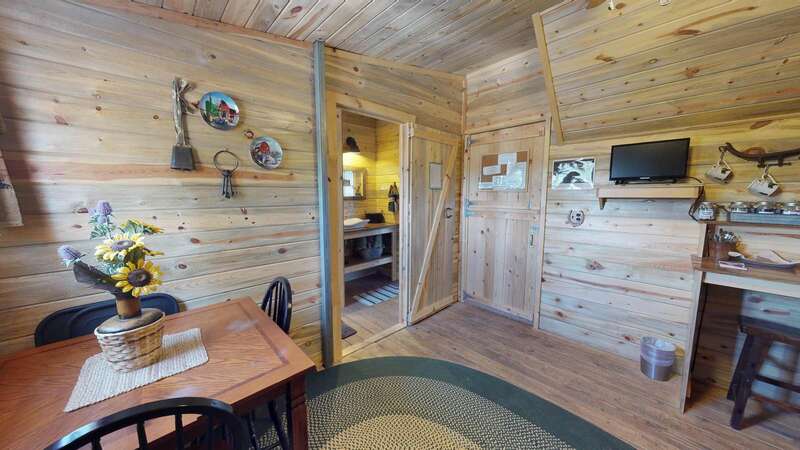 We welcome this new property to our family of cabins and lodges. The four of us very much appreciate the great accommodations, Our horses also loved the Horse Hotel. Thank you also for the great advice on where to ride. Give Inja a treat. Response: We\'re happy you had a great time with the horses! Hope to see you again soon.